The Moto G7 Plus will launch in the UK around mid-February alongside the G7, G7 Power and G7 Play. The Moto G7 Plus will cost £269 in the UK. At first glance, you’ll struggle to tell the G7 Plus and regular G7 apart. Both sport similar mixed metal and Gorilla Glass designs that have clearly been inspired by 2018’s flagships. It’s only when you get up-close that minor visual differences become apparent – around the camera sensors, for example. Some may bemoan the lack of differences between the two devices. For me, it’s hardly a deal-breaker. Like the regular G7, the Moto G7 Plus feels suitably well made and every bit as premium as some £300-£400 phones I’ve tested. The core features are also equally solid. From what I’ve seen so far, the 6.2-inch FHD+ screen, while a little warm to the naked eye, is suitably sharp and bright, and the 176g weight of the device makes it feel comfortable to both hold and use. The software, too, is identical to the G7, with the G7 Plus running a blissfully clean install of Android 9; it’s nearly entirely free of bloatware and duplicate apps. The only minor software additions I noticed during my hands-on were the return of the custom motion controls, which let you do things like shake the phone to launch the camera, and the fact that Google Lens is integrated into the main camera app. For those who missed it, this is a nifty AI solution that lets the camera auto-detect what you’re pointing at and pull up useful information about it. 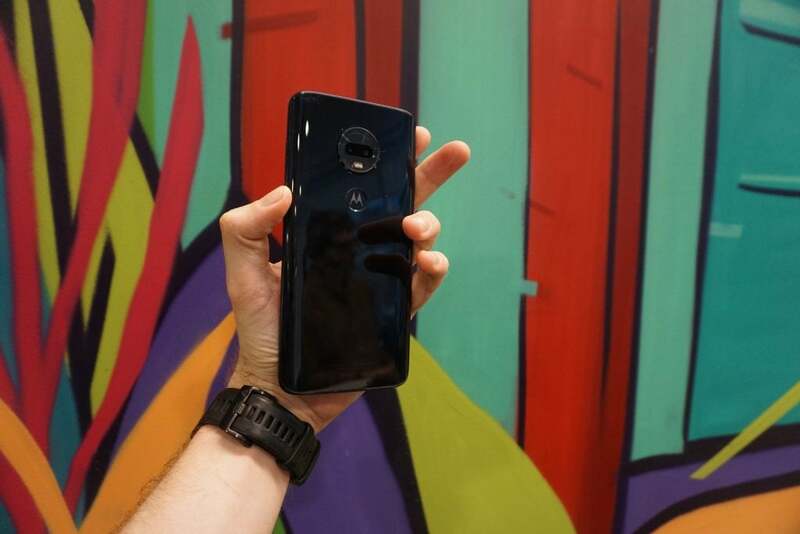 Look under the hood and you’ll find that Motorola has made a few key upgrades, which make the G7 Plus feel like the “sports” edition of the regular G7. The most notable is the upgraded camera. The G7 Plus features a dual rear-sensor setup that combines a 16-megapixel main sensor with a 5-megapixel depth sensor. The main sensor is where the action is at; it features an improved f/1.7 aperture, larger 1.22µm pixel size and OIS (optical image stabilisation). By comparison, the regular G7 has a slightly stripped down 12-megapixel, f/1.8, 1.25µm main sensor minus OIS. This may not sound like much, and I’m not going to pretend the change puts the G7 Plus in the same league as top camera phones such as the Pixel 3. However, during my hands-on with the device, where I spent the day taking photos around São Paulo, the G7 Plus’ camera generally took better-looking pictures than the regular G7, particularly in low light. This is likely due to the inclusion of OIS, which helps reduce the impact of minor hand movements when shooting, making it easier for you to steadily capture a longer exposure in low light. All that said, until I get an opportunity to check out side-by-side photos taken on the G7 and G7 Plus, I can’t sensibly comment how much better the Plus is. The front camera has received a similar spruce-up, with Google upgrading the Plus to a 12-megapixel sensor. Image quality was perfectly fine for sharing on social media. The only other big changes are the move to a more powerful Snapdragon 636 CPU and the inclusion of a faster 27W Turbo Charger. Sadly, since I wasn’t allowed to benchmark either device nor did I have enough time with the phone to get an accurate picture of how it performs day to day, it’s difficult to gauge how the improved Snapdragon 636 will boost performance. 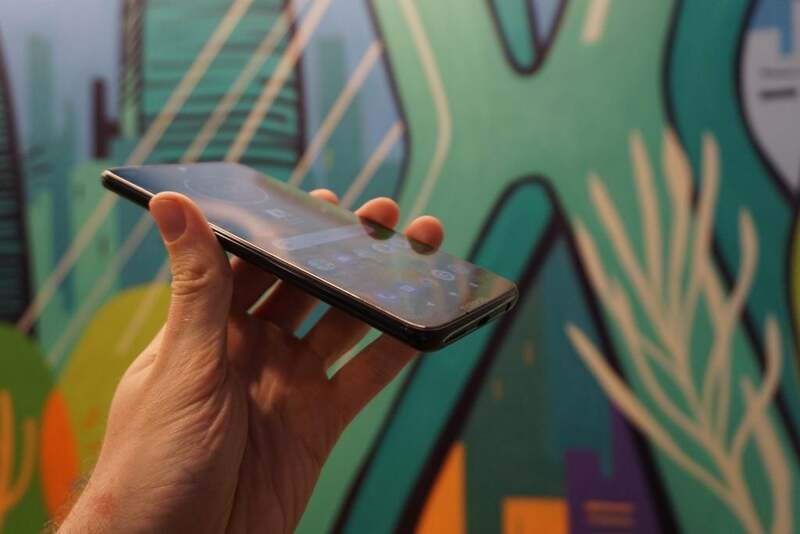 Nevertheless, the handset felt solid during the brief time I had with it – I didn’t experience any issues playing ten minutes of PUBG on the G7 Plus. The same is true of the Turbo Charger. I hope that Motorola’s promise that the charger will get you 12 hours’ use from a 15-minute charge rings true, although I’m nervous that the Moto G7 Plus’ 3000mAh battery is a little on the small side and will struggle to last more than a day with even moderately heavy use. If photos aren’t a core concern then the regular Moto G7 is cheaper and offers only a moderately stripped-down feature set. If you don’t mind a heavily skinned version of Android then there are other options out there, such as the stellar Honor View 20. 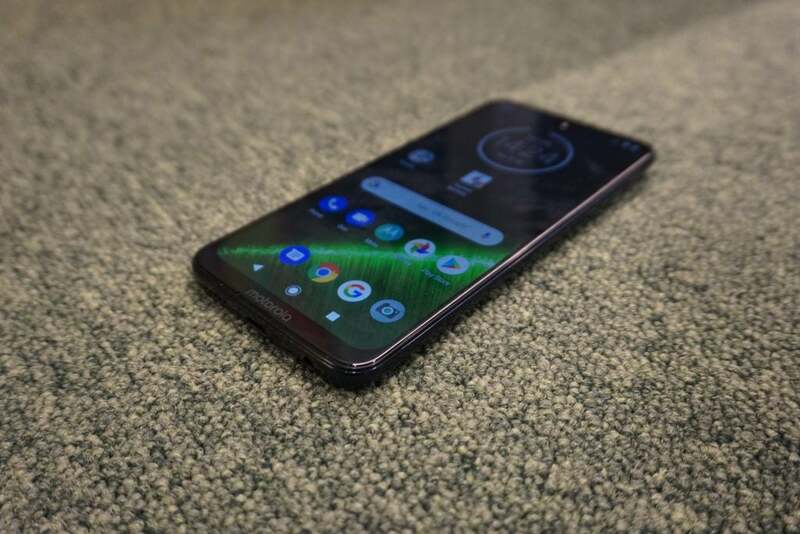 The post Moto G7 Plus Review: Hands-on appeared first on Trusted Reviews.